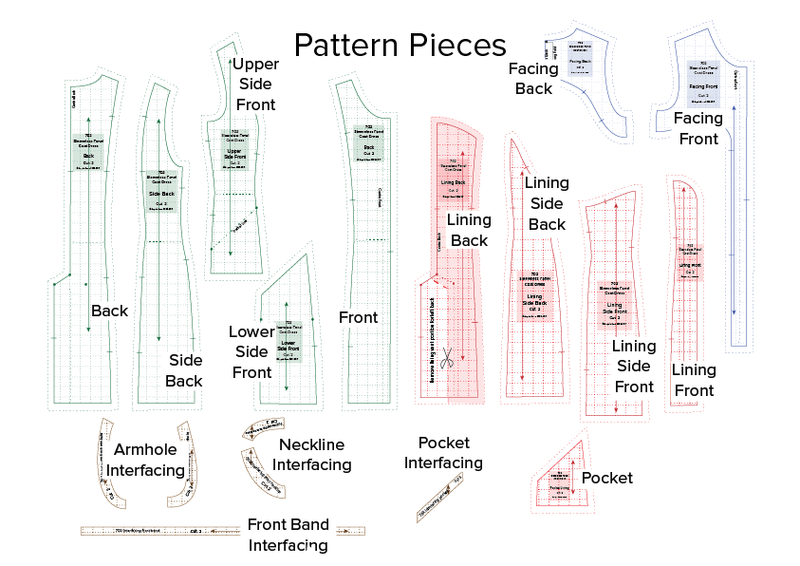 Sew this pattern and learn all you need to know about making a Princess Line garment. A comprehensive instructional eBook included. This Pattern is included with Membership. Non Members can buy it. New Pattern Format - colour coding of Main Fabric, Lining Fabric and Interfacing for greater clarity. 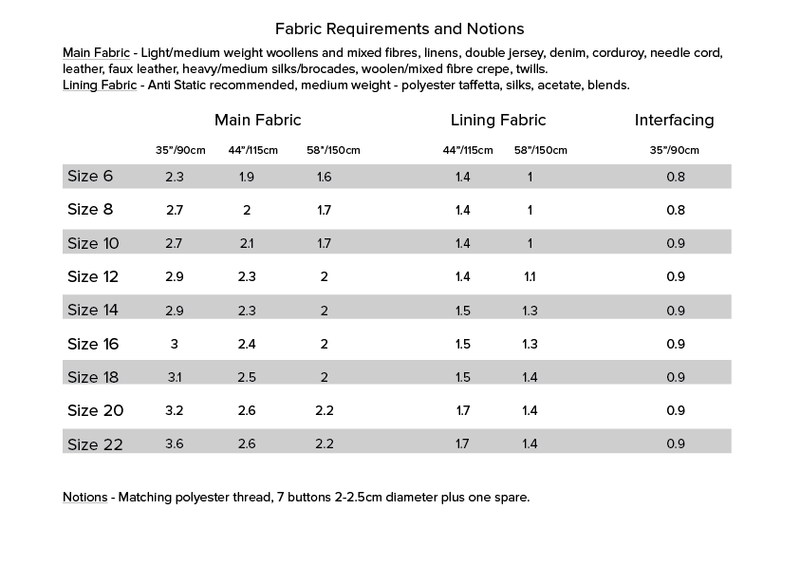 New - Fabric Requirements Table. New - Cutting Out Layouts for all fabric widths across All 9 Sizes! 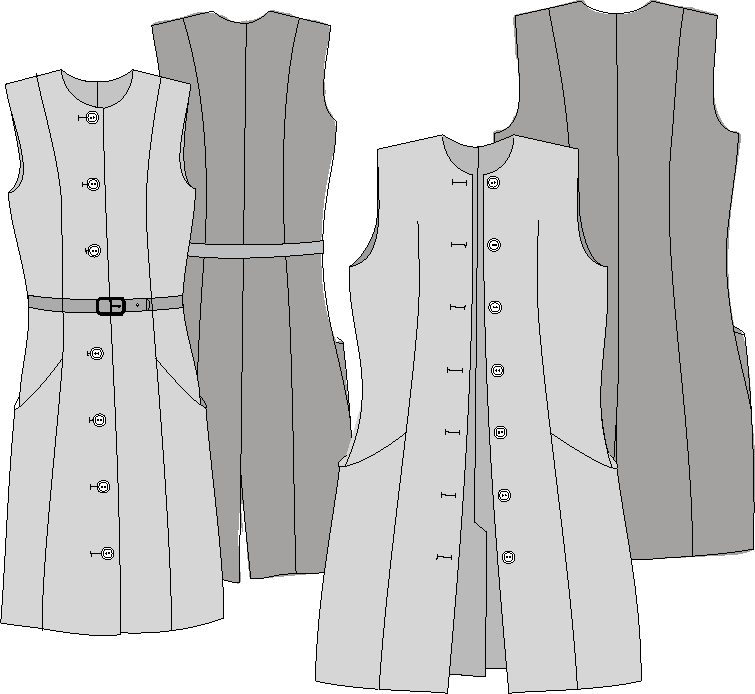 Panel Coatdress No 702 - Introducing you to the Princess Line. Endlessly versatile. Wear it as a dress or a coat, over other garments or on it's own. The first of a new series. Introducing the Princess Line.